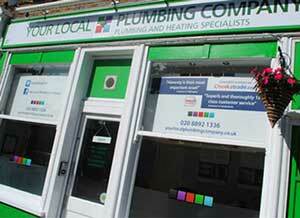 A full range of domestic and commercial boilers. The origins of Keston Heating extend back to 1928 when its original parent company was established as a domestic and commercial heating installation and servicing operation. Keston products use modern and current technologies support by their rigorous research & development procedures and manufacturing quality control checks ensure that all of Keston's products are produced to the highest standards, delivering total comfort and peace of mind. The Keston range is highly efficient, delivering performance and reliable heating systems for the modern home. The all new line-up from Keston includes System, Combi and Heat Only ranges from 30kW to 55kW, each of which come complete with twin flue capability. From Frame and Header Kits to renewable technology, Keston has it covered, delivering a simple, straightforward and hassle free one-stop solution. Offering first-class comfort in a compact, wall-hung appliance small enough to fit inside a standard kitchen cupboard, the Keston Combi C30 enables heating and hot water to be controlled independently, ensuring maximum comfort and efficiency. Fully modulating, and with weather compensation, the Combi C30 provides excellent energy savings, making it the perfect choice for new or replacement installations alike. Available in outputs of 45 and 55kW, the Heat range is designed to ensure all installation requirements can be achieved. Supported by a 5 year parts and labour warranty, the Heat is a reliable and efficient wall hung solution. The quality of this product range has been developed through meticulous design, careful component selection and proving; leading to reliability and longevity. The range provides high efficiencies for low running costs with easy to read boiler controls featuring large backlit display with five lines of plain English text. Hassle-free unvented hot water storage systems, the perfect match to offer the best solution for boiler and cylinder combinations. The Keston qSpa range of stainless steel unvented indirect cylinders are manufactured to the highest standards, with 8 models in the range and 2 years parts and labour warranty you can be sure the qSpa allies the twin demands of excellent product quality and outstanding value.